KARUDescription:Deep Ohio's sound with a slight tech feel...BIOGRAPHYProducer Quentin Allen aka Karu is from Cleveland, Ohio. He fell in love with jazz, fusion, real hip-hop, classical, & electronic music at 5 years old. When other kids were playing outside, Quentin would spend hours taping jazz & fusion off college radio shows. In 1977 when Kraftwerk came out with Trans Europe Express & in 1978 Man Machine, this started Quentin’s fascination with electronic music. He has also been down with hip-hop since Rappers Delight. In 1979, a show called Clubstyle on 107.9 WDMT came on at 8:00pm every Saturday. Every week the hottest DJ in the area would spin hip-hop, underground disco (the early stages of house), & electro break dance music. When the tracks, Pac Jam, & Numbers came out, Quentin was only 10. And in the same year, he discovered Chic Corea & Pat Metheny. Quentin loved all these styles of music & in 1984, this started his quest for learning how to lay down electro & hip- hop beats blended with jazz/fusion overtones.After taking a trip to New York in 1988, where he heard an abundance of house on the radio & in stores, Quentin was amazed with the house sound. He began seeking it & listening to it on College radio. We he left for college in 1990, he met some friends from New York, Chicago, & London who were all crazy about house & Detroit techno. Quentin was introduced to many authentic mix tapes from New York & Chicago. 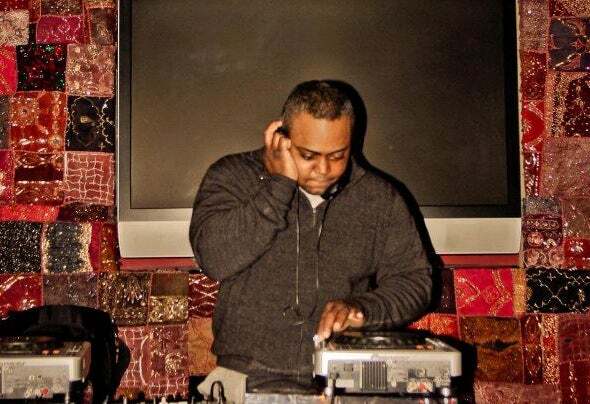 He started playing with making house, trip-hop, & jungle.In 2000, he signed his first deal with Shadow Records NY. It was a drum&bass CD (Next Level Fusion by ILLFORM) & another d&b CD (Delusion by Quentin’s Ladder).At the same time, he sent out his house demos and his fisrt 12” was The Feel by Karu on Dadhouse UK & Celestial Voyage on Silver Network FR.The Karu sound is deep, funky, jazzy, with a slight tech feel.